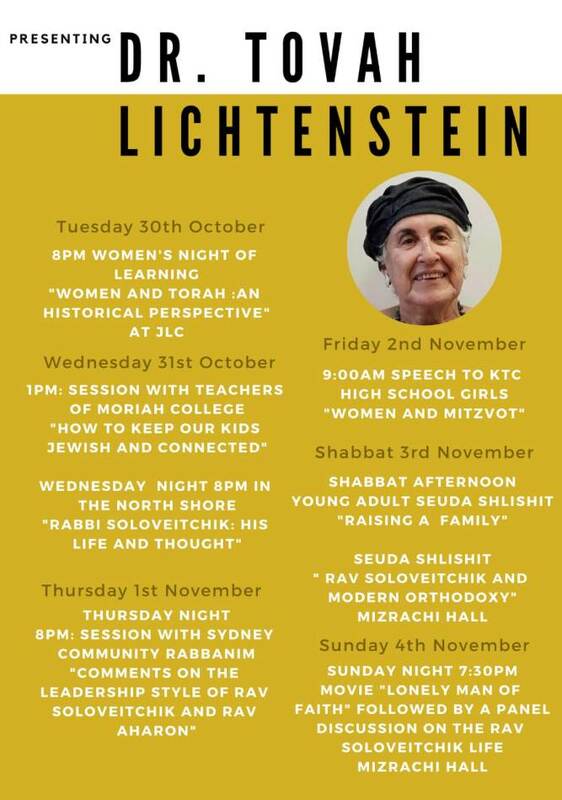 DR. TOVAH LICHTENSTEIN IN AUSTRALIA! On the 3rd of Kislev, Yeshivat Har Etzion marked 49 years from the day the Yeshiva opened its doors, and the start of its 50th year. The opening event was led by the students of the Yeshiva as the students are the ones who are continuing the traditions rooted within the Yeshiva. Last night we celebrated the traditional Chanuka party at the Yeshiva. One of the key elements of the Chanuka party is to recognise and appreciate our alumni who made aliyah in the past year. This year we are privileged that Rav Doodie Bankier and his wife Anna (not long ago from Melbourne) joined us. 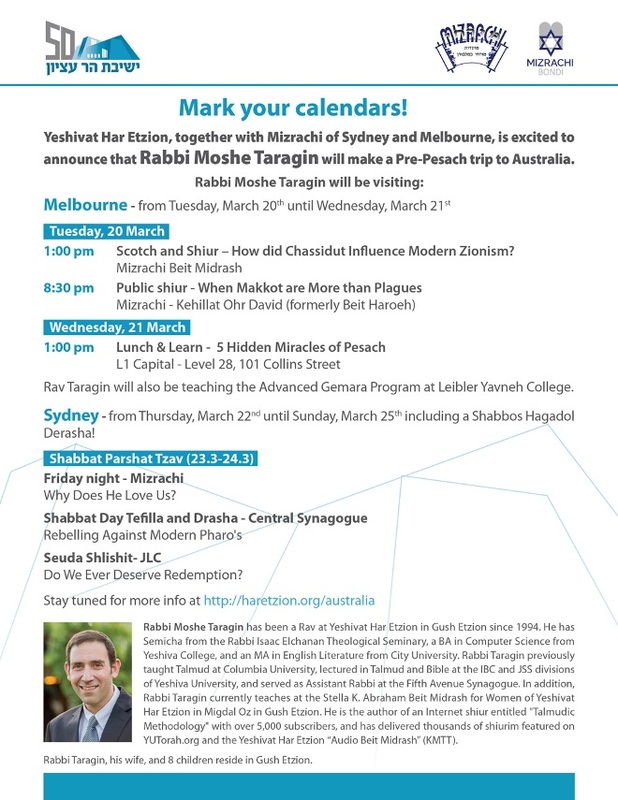 I am happy to inform you that we are currently finalizing the details for a meaningful visit of Rav Moshe Taragin to Australia around Pesach. Further details will be sent as we get closer to the date. Until then, I look forward to seeing you here at the Gush on your 'summer trips' to the area. 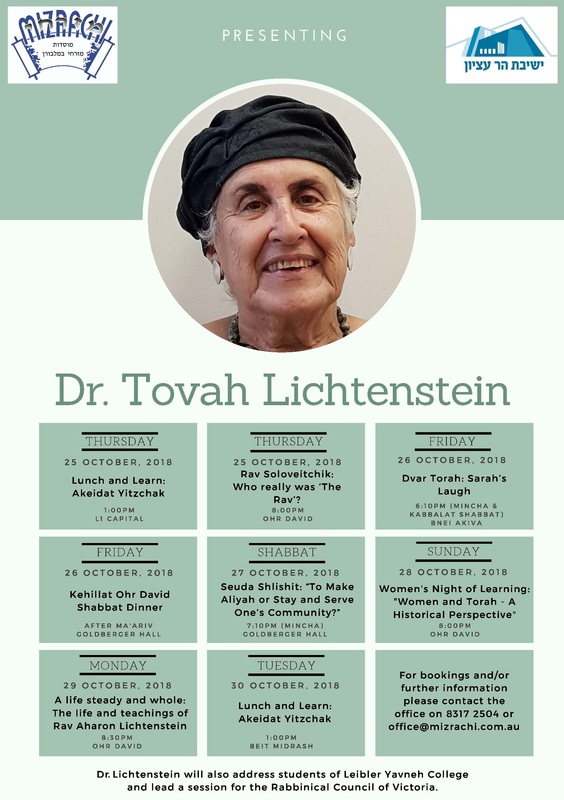 To enhance your Chanuka experience, I invite you to enjoy Yeshivat Har Etzion's Virtual Beit Midrash Chanuka section here. May we continue to spread the light in our homes and communities!